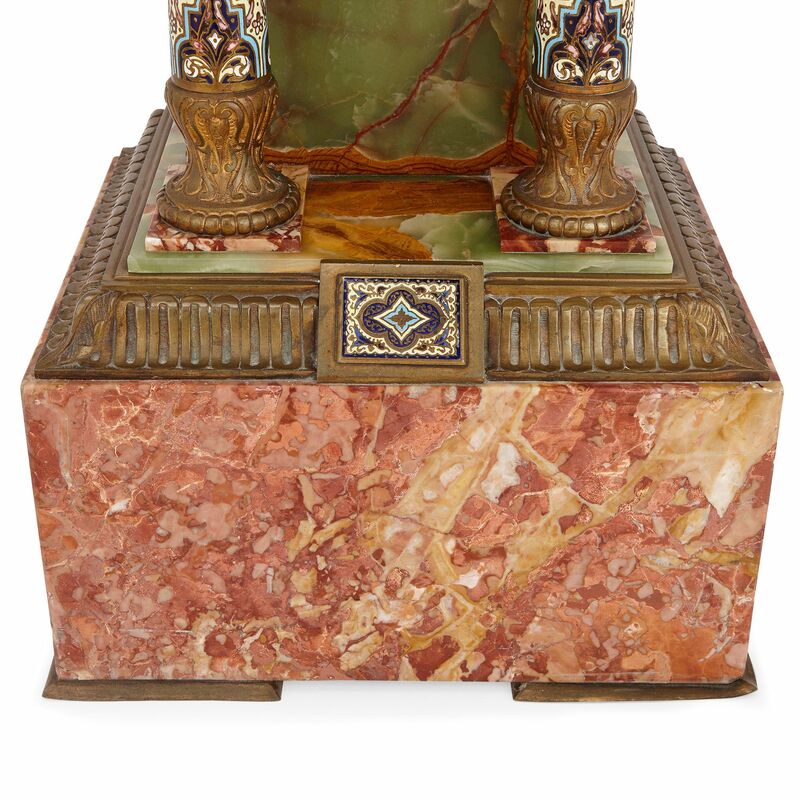 The clock takes rectangular form, and is set upon a block of red onyx with an upper frieze in gilt bronze. 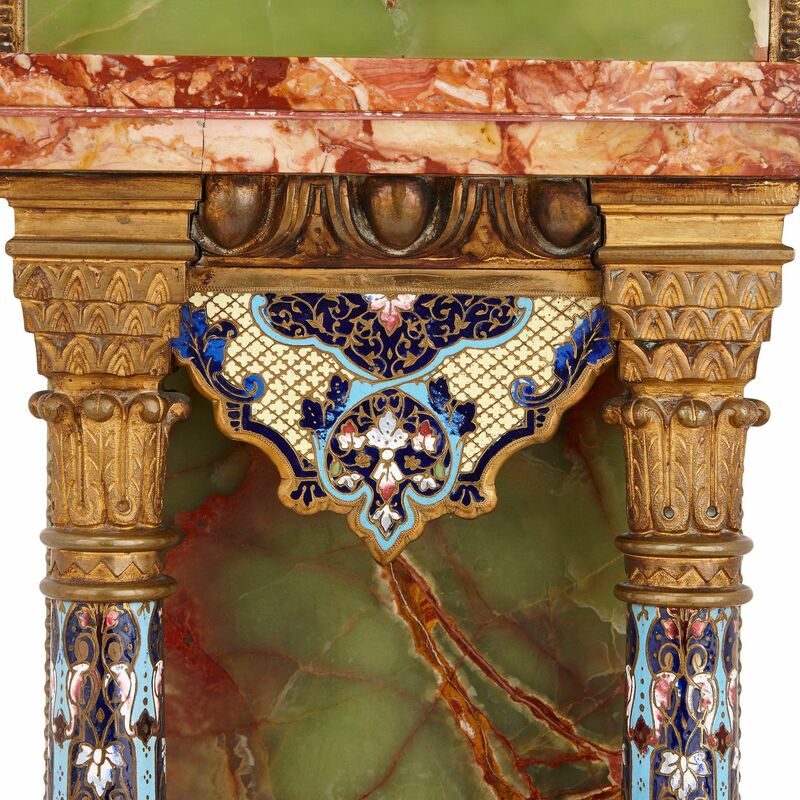 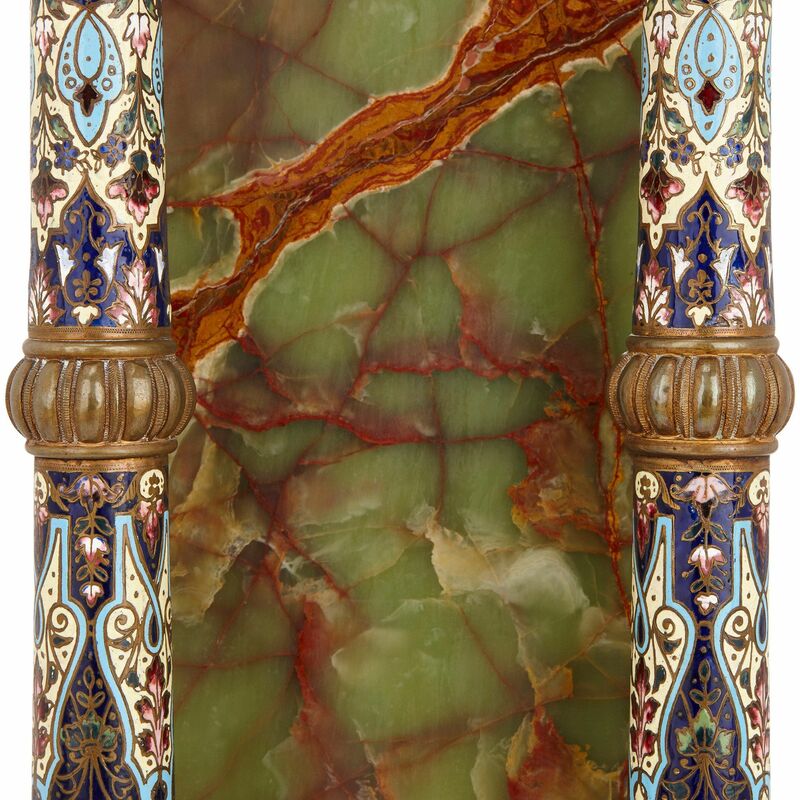 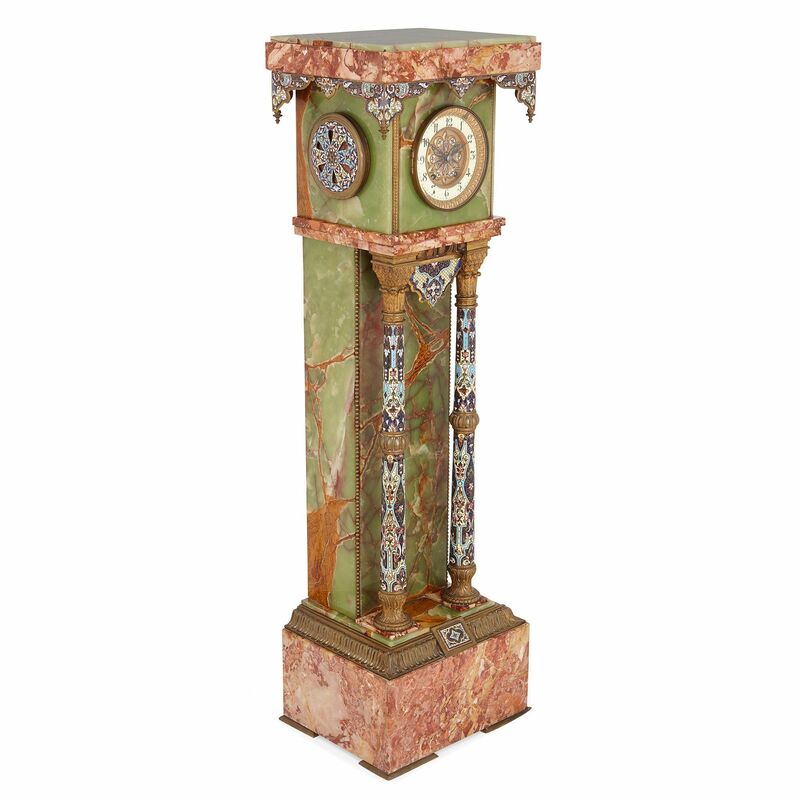 The height of the clock is given by a rectangular green onyx pillar that has a panel of champeve enamel to the upper section, fronted by circular columns in the Corinthian order decorated with champleve enamel and ormolu. 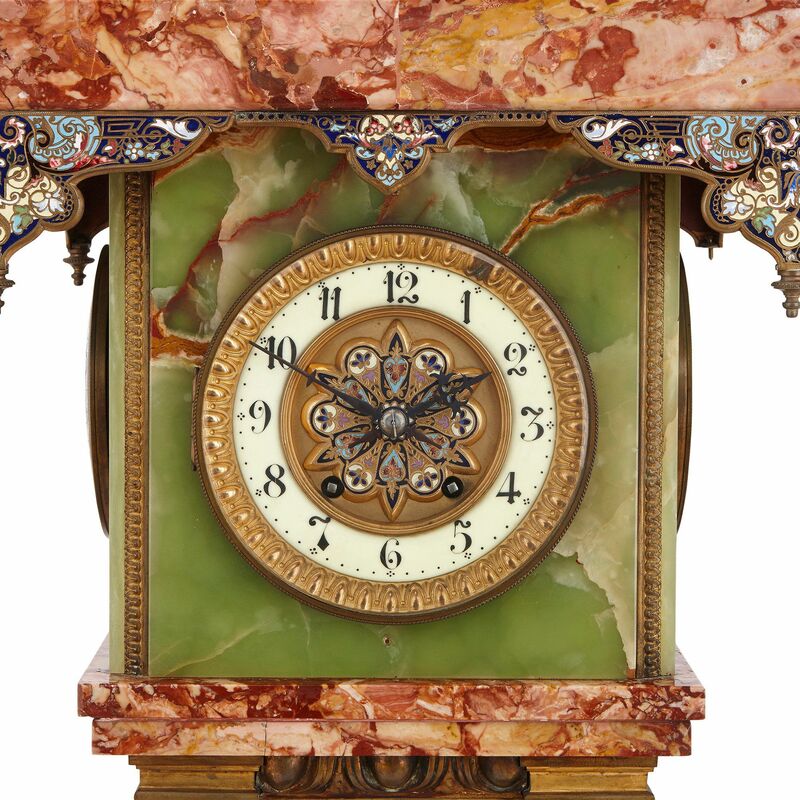 The upper section is formed of an onyx cube, upon which the circular clock dial is set. 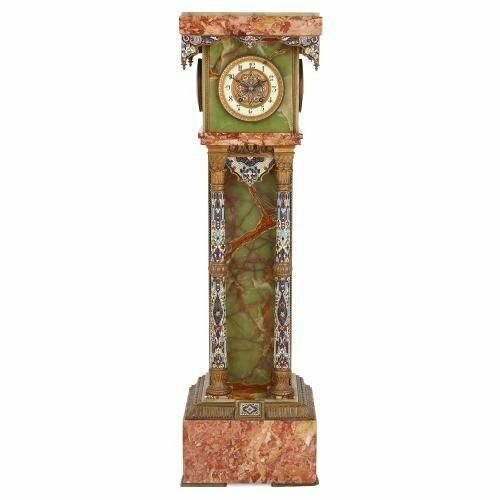 The clock dial is bordered with ormolu and features Arabic numerals and champleve and ormolu to the centre. 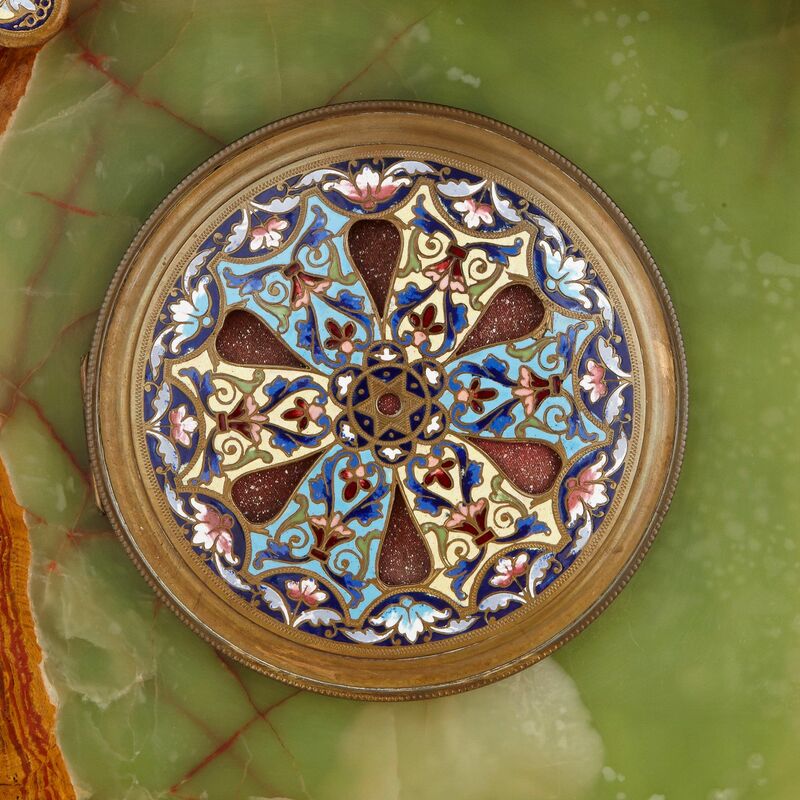 There are circular ormolu and champleve enamel mounts to either side. The top of the clock is an out-jutting red onyx cover which has champleve enamel mounts running below.